Quite some time ago we visited Maxima USA’s factory in San Diego, California for an depth tour of their manufacturing facility. We left with a handful of various products to keep our bikes running quiet and smooth. Among them was Maxima’s waterproof grease, a general purpose Lithium based grease that can be used for a broad variety of applications. It’s not a bicycle specific product, but they definitely recommend it for day to day use for bike maintenance and installations. As far as reviews go this will obviously be pretty brief. Every mechanic needs to keep grease handy, and honestly even if you’re mechanically inept and don’t do much work on your own bike, you still need to keep some basics around for things as simple as keeping your seatpost running freely in your frame. We’ve been using this exact tub for nearly two years now and it’s something we get our hands into just about any time we work on a bike. In that time span we’ve had probably 20 or so bikes pass through our garage. Aside from full fork cartridge rebuilds and some brake bleeds that we were admittedly too lazy to deal with, we’ve done most of the routine maintenance, rebuilds and parts swaps on all of those bikes at home. The picture below shows just how small of a dent that we’ve put in this tub. 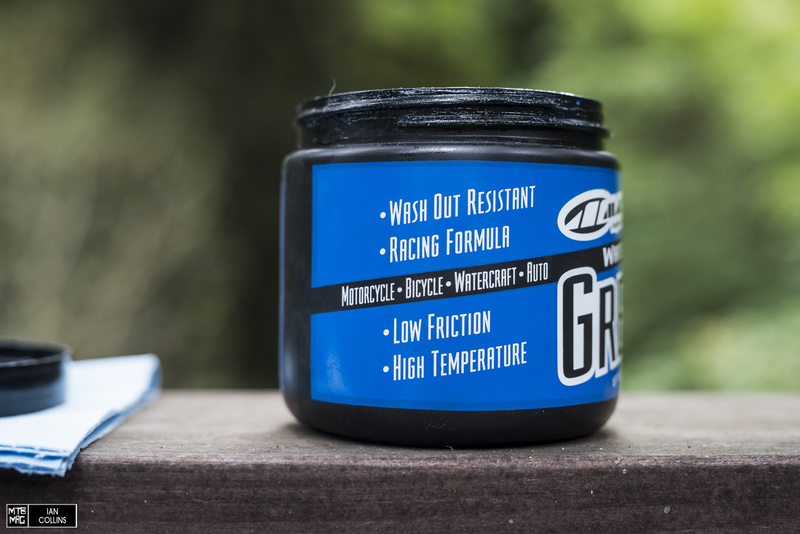 Our tester who’s been using the Maxima waterproof grease has spent about 8 years working in bike shops and used similar grease from competing companies such as Park, Finish Line, Phil Wood and Pedros. In his experience, this is far and away the best grease he’s come across and it certainly holds the best value. For comparison’s sake, a 3 ounce tube of highly coveted Phil Wood waterproof grease is $11 compared to 16 ounces of Maxima for $8.95. Prior to using this grease, we thought that Phil Wood was the best out there but always felt it was a bit on the sticky side. We love how easily the Maxima waterproof grease thins out and gets into all the right places upon application. It’s not overly thick but can withstand high temps and has excellent waterproofing properties. Everyone has their personal favorites in the shop and this has become one of ours. 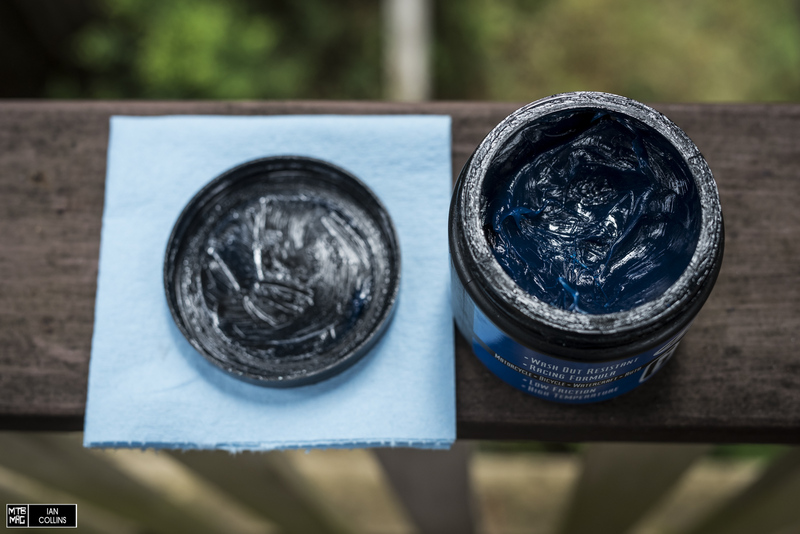 It withstands washes better and seems to last longer than other greases that we’ve tried in the past. Last but not least, we love the container.